Hubble provided solid evidence that galaxies grew over time to become the giant galaxies we see today. The telescope snapped images of galaxies in the faraway universe in a series of unique observations: the Hubble Deep Fields, the Great Observatories Origins Deep Survey, the Hubble Ultra Deep Field, and as part of an armada of observatories in the All-wavelength Extended Groth Strip International Survey. Some of the galaxies existed when the cosmos was only 700 million years old. The observations provided the deepest views of the cosmos in visible, ultraviolet, and near-infrared light. In the most recent foray into the universe's farthest regions, Hubble uncovered a rich tapestry of at least 50,000 galaxies. The galaxies unveiled by Hubble are smaller than today's giant galaxies, reinforcing the idea that large galaxies built up over time as smaller galaxies collided and merged. Many of the galaxies are ablaze with star birth. 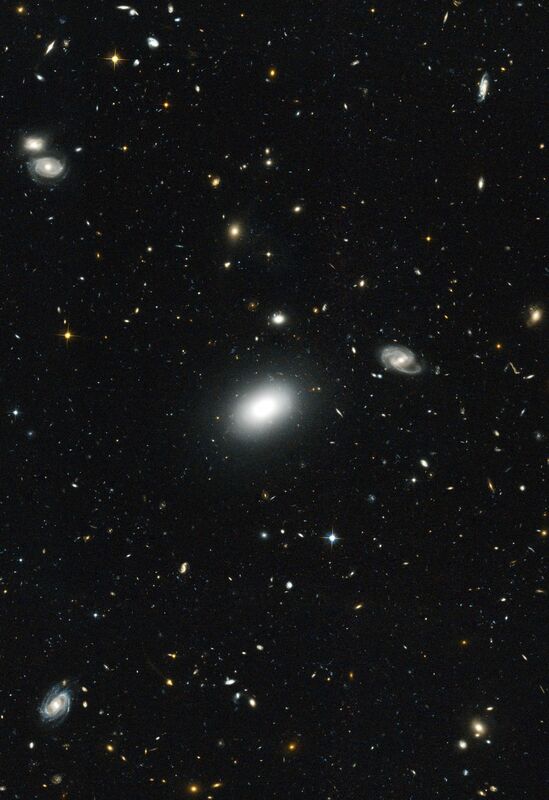 By studying galaxies at different epochs, astronomers can see how galaxies change over time. The process is analogous to a very large scrapbook of pictures documenting the lives of children from infancy to adulthood.